Davey i love so much! But this pic of you doesnt rock out loud!SORRY! My b-day cake is gonna be a pic of Davey! My mom is gonna cut out his face shape out of cake, then frost it to look like him. 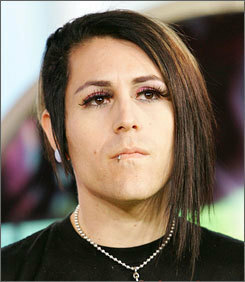 Just goes to show u.....I LOVE DAVEY HAVOK!! !